It's official. 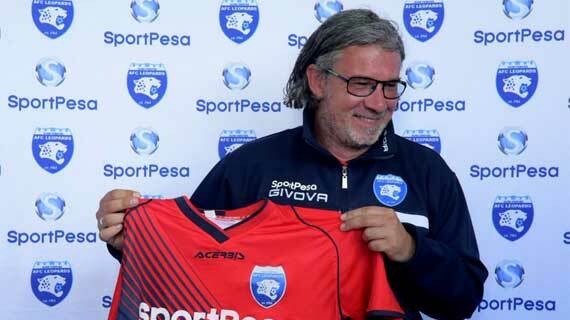 Serbian Nikola Kavazovic has dumped AFC Leopards for South African top tier side Free State Stars who have been coachless since the departure of Luc Eymael. The Serbian left the country less than a month after joining in, lying that he was returning to his native country for family reasons. However, it was rumored that he was courting a move to South Africa and the same has been confirmed on Thursday with Free State confirming the arrival of the Serb. "We really took our time in searching for the new coach, we made sure we choose the right man for the job, said Free State Stars General Manager Rantsi Mokoena, speaking to the club's website. “The coach brings vast experience to our league, having coached Botswana’s Township Rollers and recently for the very first time in their history, Rollers qualified for the Champions League. The coach has signed for two and a half years for Stars and will be assisted by David Vilakazi and Selaotse Mosala. Kavazovic had brought in his assistant to be Marko to work at AFC until he comes back and is now unclear whether he will continue in his role with Kavazovic gone. AFC were thrashed 3-0 by Kakamega Homeboys last weekend, just after drawing 1-1 with Kariobangi Sharks.